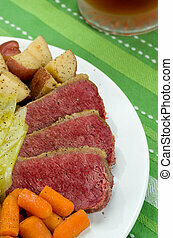 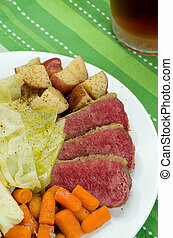 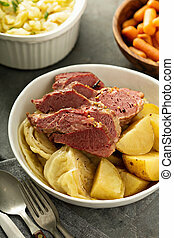 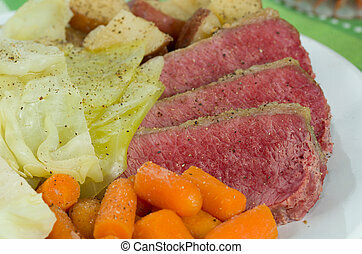 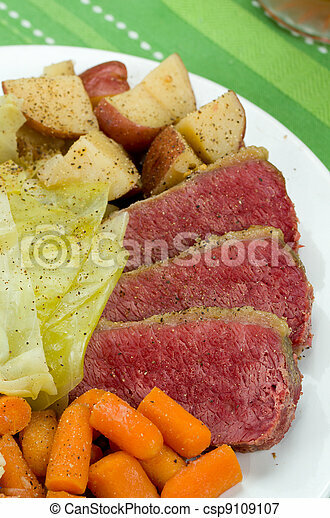 Corned beef cabbage with carrots and potatoes. 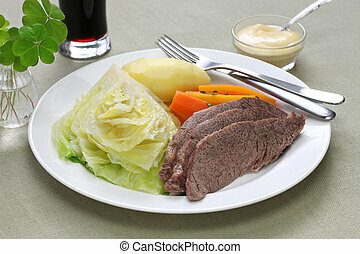 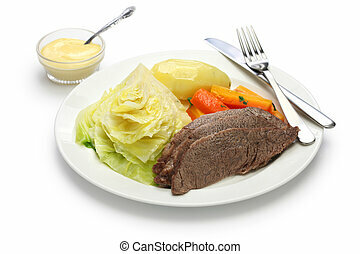 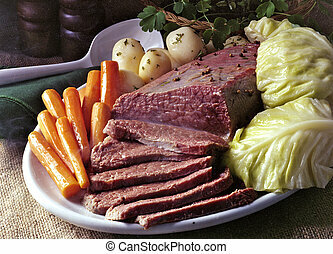 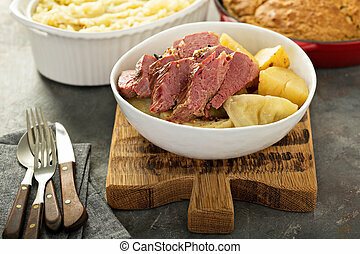 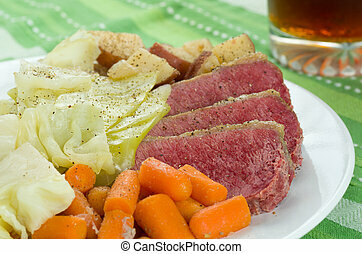 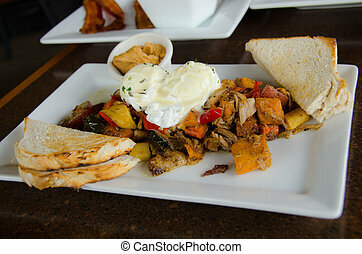 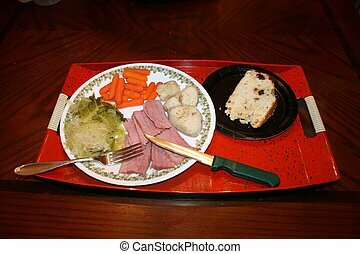 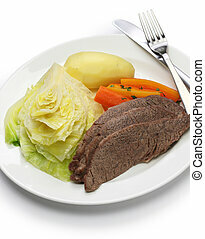 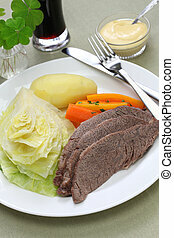 Corned Beef, cabbage, carrots, potatoes, on a platter with serving spoon, on burlap surface. 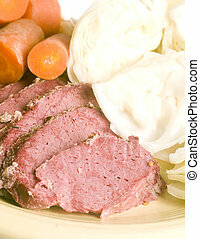 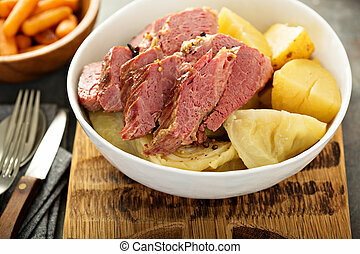 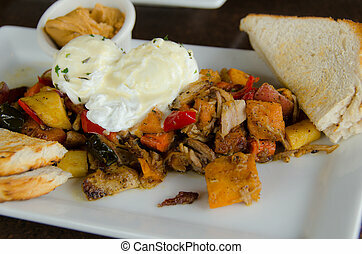 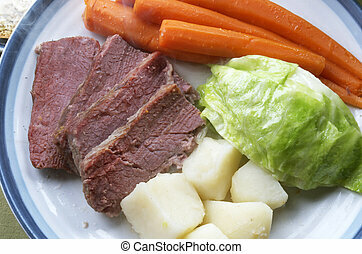 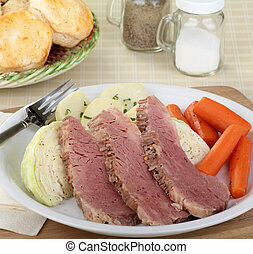 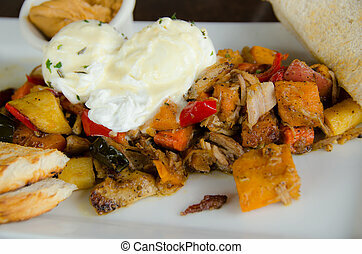 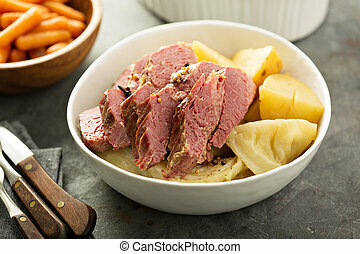 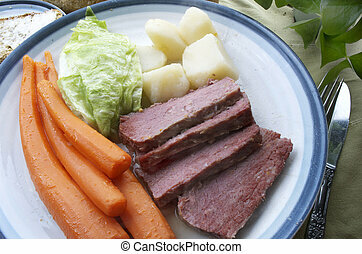 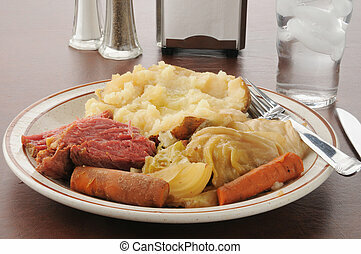 Corned Beef and Cabbage Plate with Carrots and Potatoes.